Big news here from the unOriginal Mom family…our balanced little family of 4 will soon be getting a tiebreaker baby! ;-) Here’s the pregnancy announcement we recently shared on Facebook. We won’t know the results of the tiebreaker until baby is born, though, as we won’t be finding out the gender ahead of time. That’s the way we did it with our other two, and we wouldn’t do it any other way. It seems like it’s getting more and more uncommon to do it this way…I think I can count on one hand the number of our friends and acquaintances who have waited until birth to find out the gender of their baby. I totally understand why people find out, but when we tell people we’re waiting I almost always get a response like “how can you do that? Don’t you want to know?? I could never wait that long!” Well, of course I *want* to know, but honestly, I’ve never felt the need to know before the baby is born. The process is so much fun, and I haven’t found the “not-knowing” to be difficult at all. Best of all, those delivery room moments have been the most amazing surprises of our lives! #1 – It will save you money. 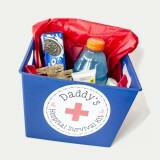 Here’s another practical reason for not finding out the gender of your baby – at your baby shower, you’ll be gifted with more practical items off your registry along with lots of gift cards. People are much more likely to go “off registry” and get distracted by cute baby clothes when they know they gender of the baby. 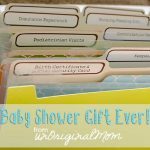 I don’t know about you, but when I’m shopping for a baby shower, I head to the store with a budget in mind, print off the registry, walk to the baby section, and inevitably get distracted by the sweetest little baby outfit or accessory. Hair bows, bow ties, sundresses, onesies with funny sayings, ruffly socks, the tiniest suit vests, little shoes, baby hats – so much cuteness! So I buy the cute thing(s) and then use the rest of my budget to buy something from the registry. But when I’m shopping for an unknown-gender-baby that doesn’t happen, since – let’s face it – gender neutral outfits and accessories just aren’t very cute. Chances are, after a gender-neutral baby shower, you’ll be fully stocked with all your baby necessities and plenty of gift cards to spare. Don’t worry, though – baby will still be gifted those adorable baby clothes after he or she is born! You’ll get lots of practical gifts at your baby shower, but when baby is born your close friends and family will go bonkers buying baby clothes. (My mother and mother-in-law practically cleared out Gymboree of all the baby girl clothes the day after our oldest was born!) We were stocked up on plain/gender neutral onesies and sleepers in advance, which is what newborns wear 24/7 anyway. (All those adorable tiny baby boy or girl clothes you’d get at your baby shower if you knew the gender? Baby will outgrow them in a few months and only have a chance to wear them once or twice, if at all!) By the time baby was big enough to wear cute outfits, I was ready for some reasons to get out of the house for a few mommy-baby shopping trips, and I used gift cards I’d saved from the baby shower to buy clothes in a variety of sizes to get us through the whole first year. 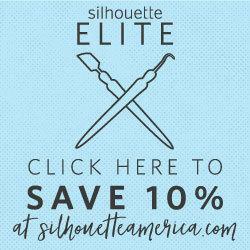 And if you’d rather not leave the house to shop, there’s always online shopping. The point is, even if you don’t know the gender ahead of time you will have NO trouble at all filling up your baby’s wardrobe after he or she is born! One side note – I did buy one girl outfit and one boy outfit for coming home from the hospital – I had so much fun shopping for those clothes and imagining a baby girl or a baby boy! When our daughter was born, I left the boy outfit at the hospital for the nurses to give to someone else. #3 – You can still plan – no, really, you can! When we tell people we’re not finding out the gender ahead of time, the thing I hear the most often is “Oh, I could NEVER do that, I’m too much of a planner.” I get a little bit miffed by that, because that implies that those of us who don’t find out the gender *aren’t* planners. We must all be the fly-by-the-seat-of-your-pants kind of people. Well let me tell you, I’m one of the biggest planners there are. I have planning spreadsheets for my planning spreadsheets. (Seriously, you should see my Google Drive.) And you know what? I’ve still been able to plan everything I needed to without knowing the gender of my babies. The needs of baby girls and baby boys are identical. Planning for a baby is exactly the same, no matter what kind of baby you’re getting! By not finding out, the only things you’ll have to do differently is pick out both a girl name and a boy name, and decorate your nursery in a gender-neutral way. When it comes to your baby’s nursery, gender neutral decor does NOT have to mean boring, blah, or green-and-yellow everything. In fact, neutral and minimalist is totally “in” right now, so you can even have a trendy nursery. I really enjoyed planning a soothing and neutral nursery for our first baby. 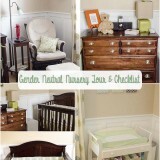 You can see our first nursery tour here! I had a few gender-specific accessories ready to go (with receipts saved so that I could return the unused ones), so once we brought our daughter home I was able to add a few pops of pink and other girly things. When I was pregnant with our second baby (which ended up being a boy), I spent my time and energy putting together a “big-girl room” for our daughter and didn’t do much of anything in the nursery. A little bit of a refresh was all it needed, and I’m so grateful I didn’t have to completely redecorate it! (Another big money saver!) This time around we’re doing it the same way – putting our time into transforming the guest room into a “big boy room” for our 3 year old son and leaving the neutral nursery pretty much as-is. Speaking of gender-neutral blah, there’s no need for a gender-neutral baby shower to be all green and yellow, either. In fact, I wrote a whole book on baby showers, and it includes a list of more than 40 adorable themes for gender-neutral baby showers. 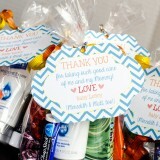 (Browse through tons of baby shower theme ideas on my Pinterest board here.) 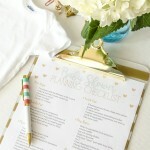 You can plan a beautiful baby shower without using any pink or blue – I promise! It also means you don’t have to put up with insensitive comments (at least the ones related to gender) from acquaintances or random people in the grocery store. “Oh, but honey, aren’t you disappointed? Didn’t you want a girl?” “Two boys? You’ll have your hands full!” or “Just wait until she turns 13, you’ll be wishing for a boy then!” Not to mention the comments you’ll get if you decide to announce the baby’s name before birth as well. For some odd reason, people think it’s acceptable to share their unfiltered opinions with you when the baby is on the inside…but people are much less likely to say anything like that to your face when you’re pushing a stroller with the baby in it. 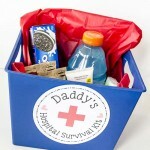 #5 – There is NOTHING like that delivery room moment. My first baby was 10 days late, and though labor started on its own it took 32 hours – including 3 hours of pushing, because she was direct OP. I honestly think that not knowing the gender is one of the biggest reasons I made it through all that without having to have a c-section. Even though I was absolutely exhausted, to the point where I was falling asleep between contractions in that last hour of pushing, the thing that kept be going was wanting to meet my baby and find out who he/she was. The moment she was born and my husband told me “it’s a girl” was probably the most joyful moment of my life. My second baby had to be induced at 12 days overdue, but active labor only took about 5 hours and two pushes. I still remember SO clearly the moment I heard “it’s a boy!” – and my reaction: “WHAT are we going to do with a BOY?!! ?” I have two sisters, my husband has one sister, and our daughter was the only grandchild on both sides. I think we had just assumed we’d have another girl, too, so both my husband and I were absolutely floored when that baby came out a boy…and so darn excited! Oh, it was so fun to announce to our family in the waiting room that we had a sweet baby boy. What made it even more precious was our plan, if we had a boy, to name him after my late father-in-law who had passed away less than two years before. Of course, finding it out at 20 weeks would have been fun too – but I honestly don’t think anything could have compared to that delivery room moment. But I feel like I can really connect with the baby inside me when I know the gender. But I need time to grieve the fact that it isn’t a ______. This can be a touchy subject. I can understand if you really want a specific gender (i.e. 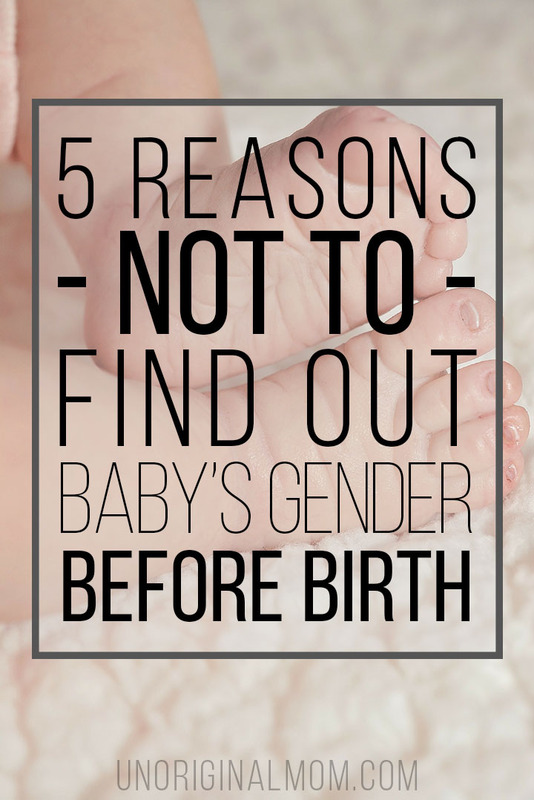 this is baby #4 and you already have three boys), you may be disappointed when you find out the gender isn’t what you want it to be. I’ve heard people say that they needed time to grieve the “loss” of the gender they wanted and accept the gender they’re getting. And some other people struggle with guilt over the disappointment that they feel about the gender after finding out. Again, this isn’t something I can really relate to, so this is just speculation…but finding out at week 20 that you’re having a boy when you wanted a girl isn’t the same as finding out in the delivery room that you have a perfect, healthy baby boy. In that moment after delivery, I think any feelings of disappointment will be quickly outweighed by the joy of a new baby in your arms. Something to consider, anyway. But knowing the gender helps make it more real. I’ve heard people say that finding out the gender helps make the whole baby thing feel more real to themselves, their partner, and also to baby’s siblings. I don’t know, I’ve never had any trouble accepting the reality of an impending baby without knowing the gender. Now, sure, there is a certain element of “surreality” with any pregnancy that doesn’t really go away until there’s a baby in your arms. But not knowing the gender ahead of time doesn’t make that baby any less real. And when I was pregnant with my son, my 2.5 year old daughter didn’t have any trouble being excited about her baby brother or sister, or thinking of baby as a real person, without knowing the gender in advance. Really, the bottom line is – you need to do what is right for you and your husband. Obviously it’s a personal decision that no one can make for you but yourself. If the idea of not finding out makes you start to twitch, then by all means, ask the ultrasound tech to tell you! No judgement here. On the other hand, if the surprise sounds appealing to you, I hope you’ll give it a try – I don’t think you’ll regret it! 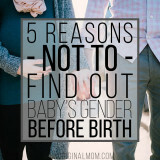 6 Responses to 5 Reasons NOT to find out the gender of your baby! Loved this article. So true. Also on my third without finding out the gender. Thanks for representing the other side! I’m solidly in the don’t-find-out camp. We didn’t find out with our first, but we did with our second. And honestly, it was much better waiting to find out. No random ultrasound technician telling me my baby’s gender can replace hearing my husband’s shaky, tear-filled voice say in the delivery room, “You got your girl.” I also think there are seriously good reasons you should keep your baby’s name a secret, too. Yes!! There is nothing like that delivery room moment. I thought by #3 it would be a little less exciting, especially since we already have a boy and a girl, but it was still just as amazing. I’m right there with you. Child #1 girl, child #2 boy, and baby #3 still a mystery. I didn’t find out with either and I loved/love not knowing. While pregnant with all 3 I knew I had a baby growing inside. 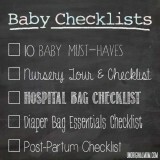 I had time to plan for general ideas and dreams I wanted for my child, mainly a healthy baby. I focused more on how my parenting style would be (1st-time mom, mom to a 2-year-old and newborn, mom of a 7, 5 and newborn-stay at home mom). My 1st midwife told my mom, sister, husband and myself in the delivery room that parents who find out start to create personalities and identities for their child. They get consumed with the stereotypes of what a girl or boy should be like. I think not finding out allowed me to connect more with my baby because then I don’t have preconceived notions of what I think my baby should be. I love my children for who they are and they will become. So well said! I totally agree. Best wishes for an easy and healthy rest of your pregnancy, Theresa!